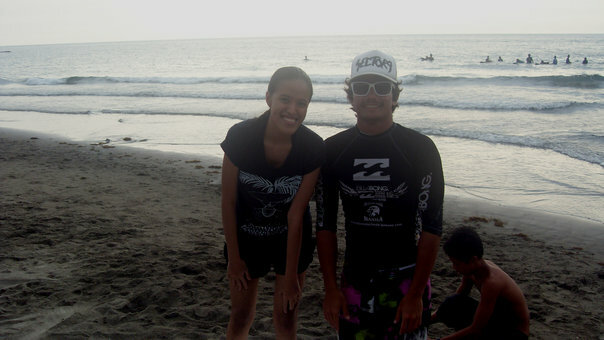 MICAMYX » Personal Blog of a Dagupena Dreamer » Archive » Let’s Go Surfing sa San Juan, La Union! The call time is 1:30AM, but I failed to show up on time. I had a fun time celebrating with my former officemates. Edward and Shena said that they’re going to the bus station at 5:30AM so there I went. Want to know the reason why I decided to join the last minute? No, I didn’t want to join the surfing lessons. I wanted to go there to write while enjoying the view of the beach. 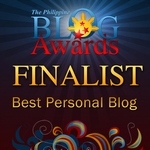 Too bad the sun isÂ toooo hot that afternoon and I ended up chatting with my blogger friends. 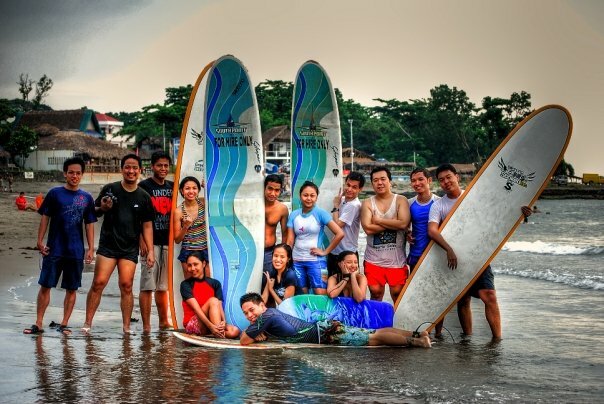 Again, upon seeing the second batch with their surfing lessons, I decided to give it a try. Hey parazzi camera, I can't stand! We spent an hour trying to balance on the board. I think I only managed to stand up twice. Nauunahan kasi ng takot haha and I was picturing a different scenario on mind. Eventually, those thoughts were written on a blank page upon going back to Manila. At least I learned some techniques and now I understand why Hannah is addicted to surfing (even if it means that she and Cisqo needs to drive for 7hrs just to go to San Juan). Iba ang feeling. As expected, the bloggers took lots of pictures. 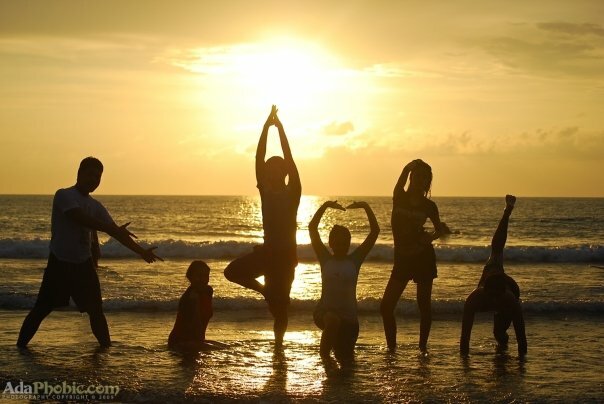 We have jumpshots, wackyshots, tumblingshots, loveteam shots, pa-inosente effect shots, sunset shots and more! 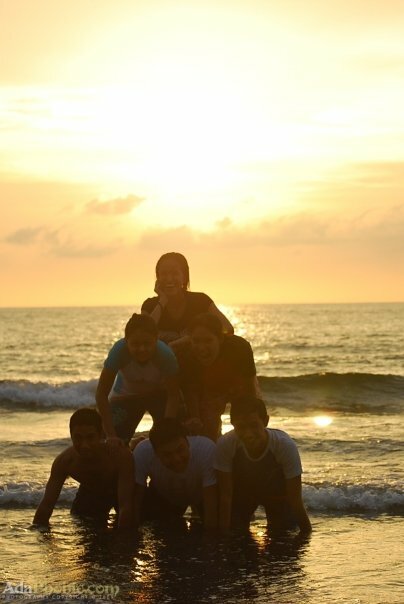 After enjoying the view of the sunset, we went straight to our respective rooms to take a shower. We ate dinner at the famous Midway Grill. Hannah was right when she told me that the Baby Back Ribs is the bestseller and the Binagoongan is made of pure win. Bottomless iced tea for Php35? Not bad 😀 Read more about Midway Grill at Patay Gutom Food Blog. Thanks to Ada, Chris and Kuya Don for the photos! More blog enties and photos here. 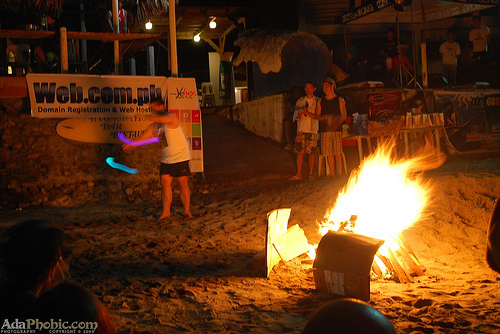 18 Comments to Let’s Go Surfing sa San Juan, La Union! waaaaaaaaaah…gusto ko rin nang ganitong event! May solo pic pala kayo ni Luke!! whahaha!! Daya! kaya pala parang kami lang ni shena gusto mo papic yun pala meron ka na hmp! Sayang wasnt able to join. Always wanted to try surfing! Next time I’ll join you! Madali lang bang magsurfing? Parang natatakot akong subukan. @ED – Yeah! Balik tayo! Wow mukang super enjoy pala talaga yun no, sayang naman I wasn’t able to go, arghh 🙁 Hehe, super busy kasi in school.. @___@. 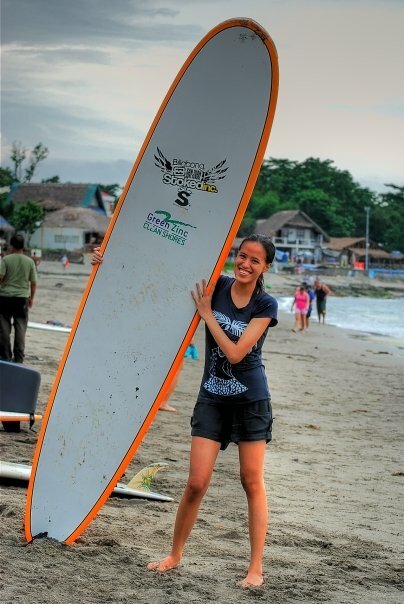 I’d love to try surfing pa naman kahit mini surf ang tatawagin niya, haha!! Good times! We should surf more often! Luke Landrigan is super hott!! Uu maganda dyan sa san juan surfing area. 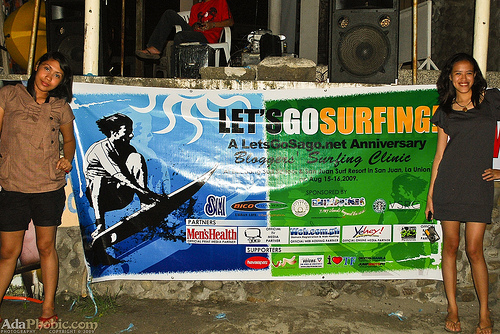 Natry ko din ngsurf dyan one time hehehe..
Ganda naman ng event nyo. I hope na meron din or maranasan ko rin itong event na ito. Thanks po.